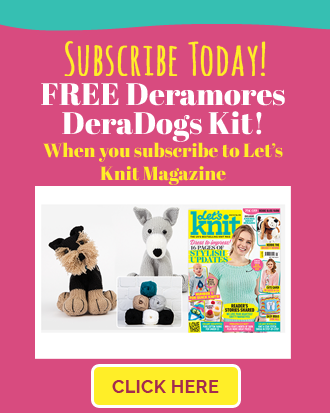 Home > Blog > How to Knit Mitred Squares + FREE PATTERN! Knitting squares is a useful skill, whether you’re making blankets for charity or a shawl for yourself. They can be done quickly while on the go, which can make even the dullest bus journey feel productive! Find out about the magic of mitred squares, which will create stunning shapes using simple decreasing techniques. 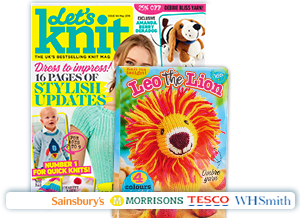 When we first came across mitred squares we were convinced that there had to be knitty magic involved somewhere. How else could decreasing on every row still produce a neat square at the end of it? Then we discovered the secret. By working shaping in the middle of each row, the cast-on edge forms a point and this eventually forms the corner of a square. Admittedly, knitting squares doesn’t sound the most exciting of tasks but it’s exceedingly satisfying as you watch your straight rows transform into a perfectly formed square - just wait until you try it. First of all, you need to cast on twice the number of stitches than required for one side. This is because the cast-on edge will form two sides of your square. Make sure you cast on an even number. 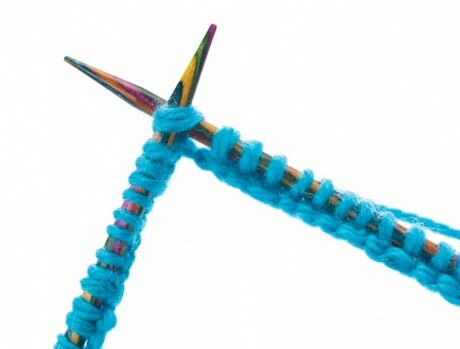 In this example, we cast on 40 stitches. Step 1: for a stocking stitch square, begin by purling one row. On the next row, knit to two stitches before the halfway point, in this case k18. 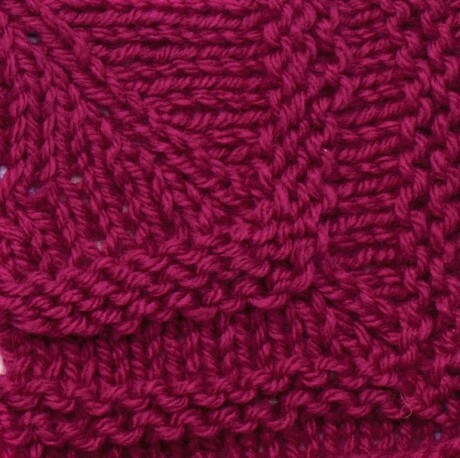 Now knit the next two stitches together, and do the same with the following two stitches, then k18 to the end of the row. Step 2: continue to work in stocking stitch, decrease over the middle four stitches as set on every row. Even after just a few rows you will see the cast-on row beginning to shape into a corner. Step 3: as you carry on, the corner will become much more pronounced. After you reach a certain number of rows, you will find yourself shaping back into a point. Step 4: keep on decreasing as before until just two stitches remain, stop working in stocking stitch and just k2tog, then fasten off to secure and complete your square. 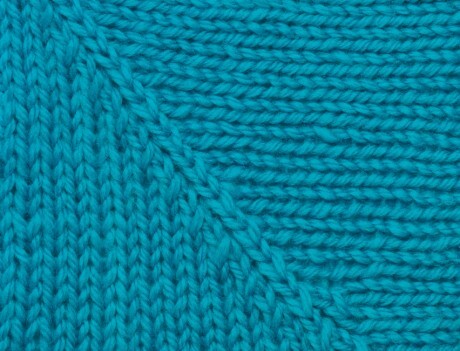 Mitred squares are often worked as part of a larger project using a technique known as modular or domino knitting. This involves joining several motifs together to make a much larger project, such as by picking up the stitches along one edge, then casting on the same number of stitches again to give you enough to begin your second mitred square. 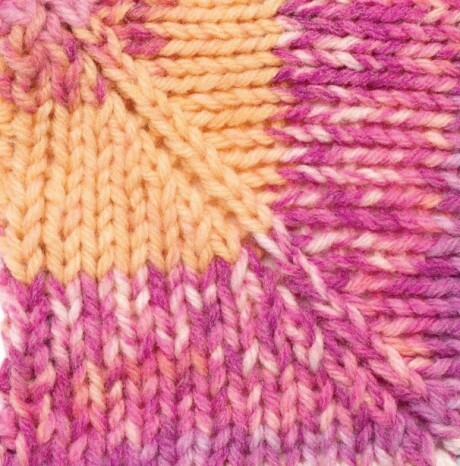 This technique is great for free-form knitting as you can make all sorts of shapes and work in any direction you wish! Try these variations of mitred squares, or why not experiment with designs and stitch patterns of your own? Garter stitch looks just as effective in a mitred square. 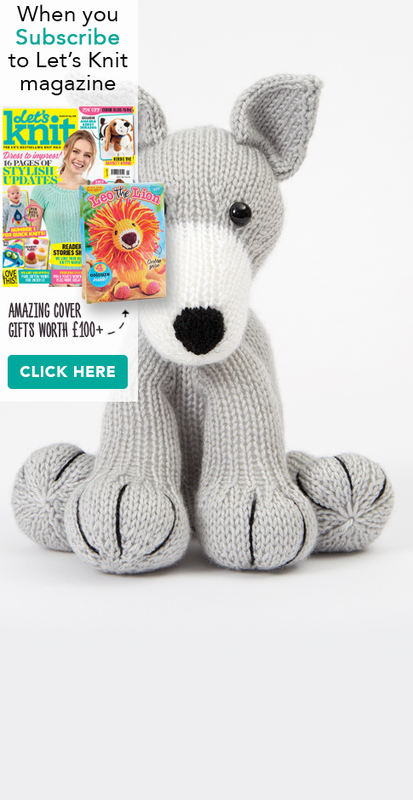 Simply work the instructions above, but knit every row. They look more uniform, don’t curl, and stripes also look brilliant. 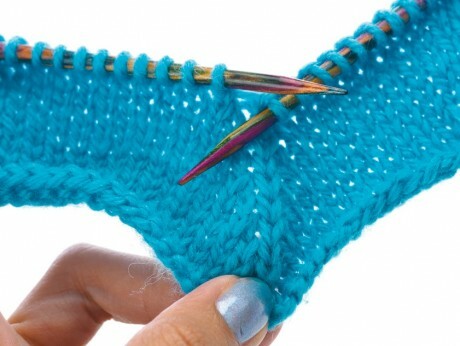 You’re only knitting regular straight rows but the decreasing turns them into angular shapes. If you can do a striped scarf, you can produce an impressive looking square! 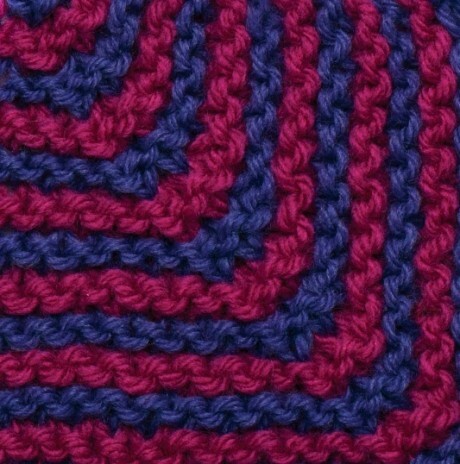 Self-patterning yarns also produce interesting effects. This swatch is knitted in Sirdar Baby Crofter which should knit up into a Fair Isle pattern. 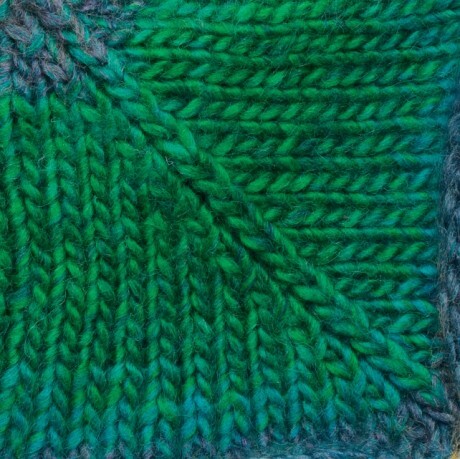 Instead, you get a more subtle colourwork effect and fascinating corner shapes. Yarns with gradual colour changes can create beautiful colour effects when knitted using this technique. 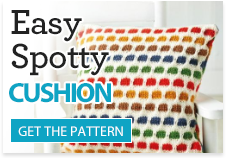 This yarn subtly moves from green to blue and instead of forming stripes, and works into pools of the different shades. 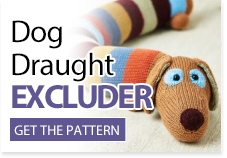 For a more textured look, try alternating between stocking and garter stitch effects. 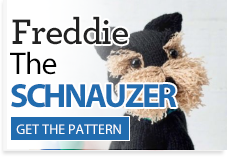 It’s really easy to do as you are just working stripes of different stitch patterns. 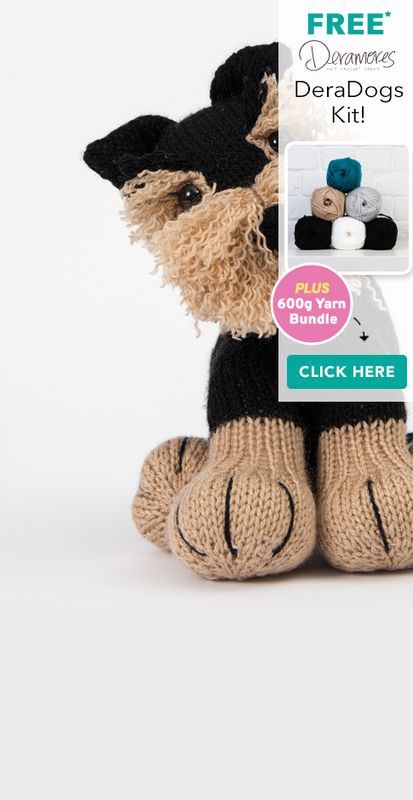 Remember, we love to see your finished projects – why not send us a photo via our Twitter or Facebook accounts? 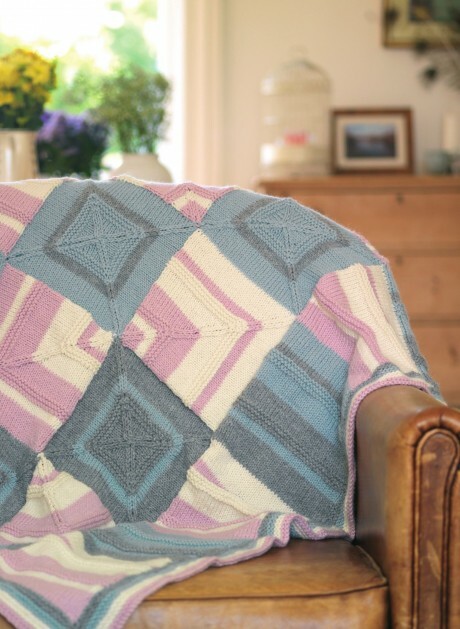 DOWNLOAD OUR BRILLIANT MITRED SQUARES BLANKET FOR FREE!